If you feel like you’re starting to outgrow your current position, you may want to watch your behavior carefully. Researchers at Florida Atlantic University's College of Business found that people who think that they are overqualified for their job often feel unsatisfied with their work and place within their organization. This leads to a mental frustration, which in turn, kind of makes them act like a jerk. "We invest effort at work and we expect rewards in return, such as esteem and career opportunities. And for an overqualified employee, that expectation has been violated,” FAU management professor Michael Harari explained in a summary of the findings. 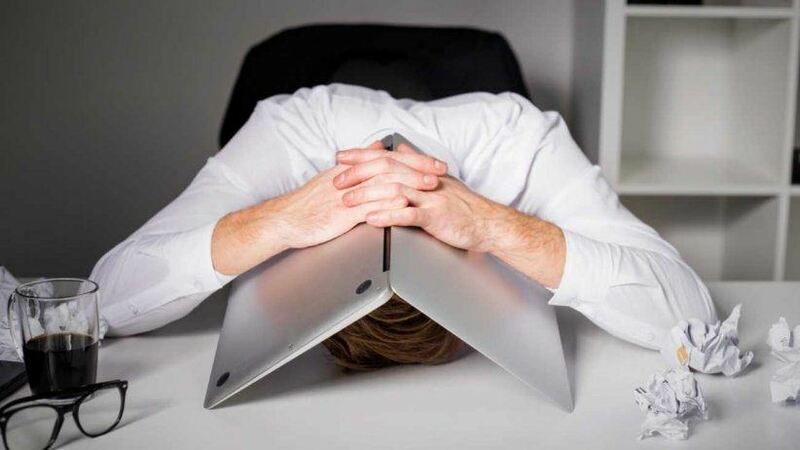 "This is a stressful experience for employees, which leads to poor psychological wellbeing, such as negative emotions and psychological strain." If you are feeling stressed and underappreciated, it’s more likely that you’re going to act out and treat others around you poorly. The researchers found that workers who think they are overqualified “engage in deviant behaviors” such as cutting out early, arriving late, bullying and even theft. Basically, if there are ways to make things function less effectively around the office, those who think that they are overqualified may very well do those things. Just remember: If you’re feeling stuck, think about what you need to do you achieve your goals. Don’t take it out on everyone else.